There are some cracking Christmas gift books around right now – remember The Greatest Showman book I showed you recently? 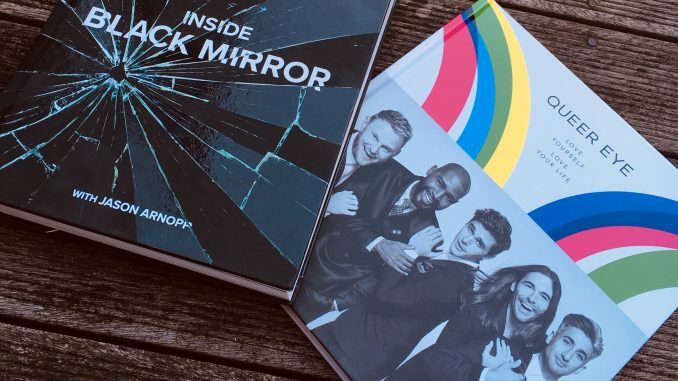 Today we’re looking at two of the top TV gift books just landed on the bookshelves. At this stage you’ve still got time to buy them as a gift, read them yourself and then pass them on to the recipient at Christmas. No, this is not tight and cheeky. It’s simply smart use of your resources. And eyeballs. What’s behind the Black Mirror? 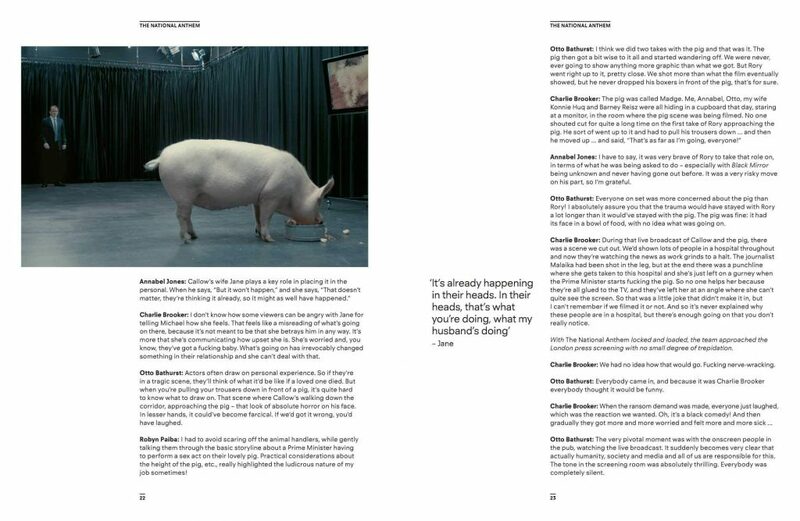 This takes you behind the scenes of every Black Mirror episode, with detailed interviews from the people who made it. We hear directly from the writers, actors and directors what was going through their minds, and how the finished episode came about. It doesn’t spoil it to remove the mystery. If anything it really makes you want to go back and watch them all again. Even the super-creepy ones. 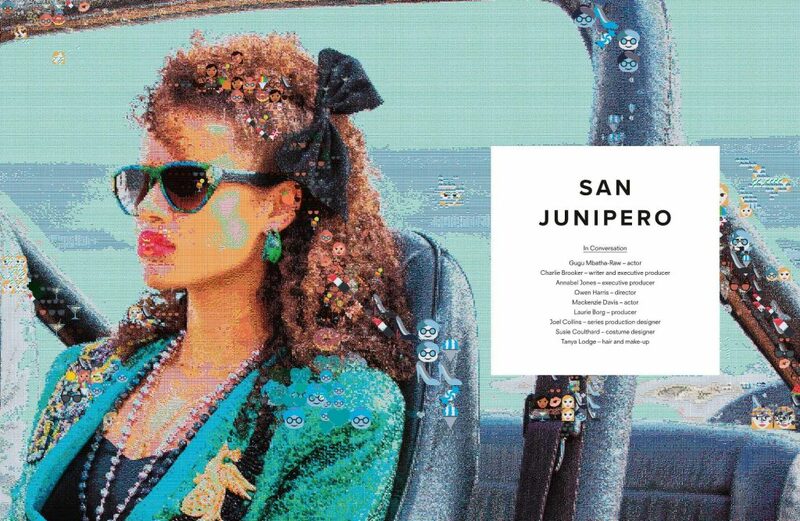 The text was written by my friend and fellow Brighton resident, Jason Arnopp. I was hugely envious when Jason was working on this and the likes of Jodie Foster were calling him up to chat about Black Mirror. Top work. What I like about this book is that the interviews are all pretty candid. There’s none of the usual bland ‘X was a joy to work with and every day on set was a dream’ that you usually get with official TV tie ins. There are some lovely on set photos so you really get a sense of the craft that’s gone into the series. 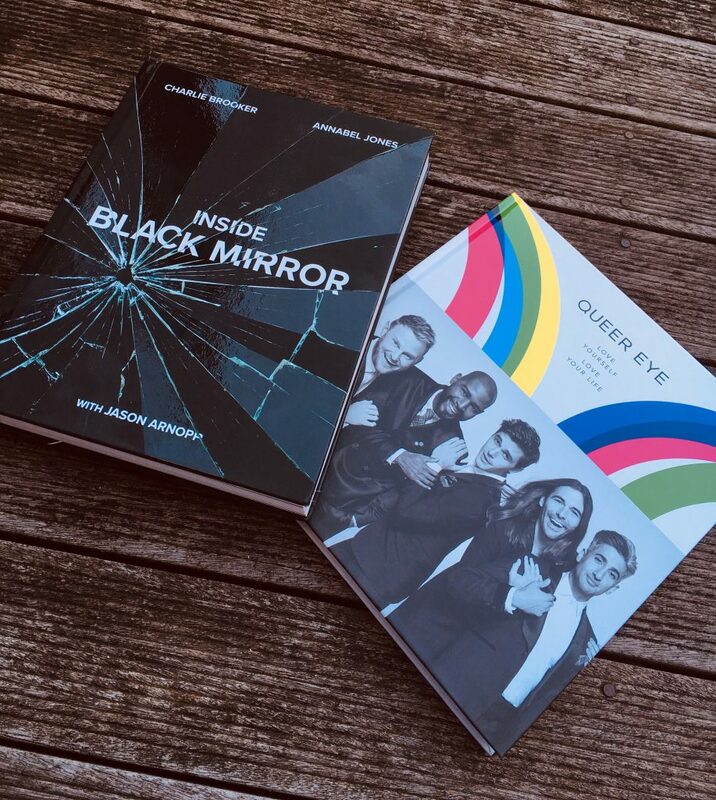 It’s beautifully put together and a must-read for the Black Mirror fan in your life. This book is partly a behind the scenes look at the Fab Five, and partly inspirational life advice. If you know Queer Eye, you’ll know that it’s an incredibly warm and loving sort of show. The book takes that tone into another format. It’s not so much about how they made the show, but more about how you can take the lessons from it back into your own life. There are recipes, grooming advice and how to light your living space. It’s really fun and somewhat cheesy, but I like cheese. Buy this for a teen, a twentysomething or someone who needs a helping hand in the art of life (that’ll be all of us). Inside Black Mirror: The Illustrated Oral History is out now from Ebury Press. 320 pages, RRP £20, currently reduced to £16 on Amazon. 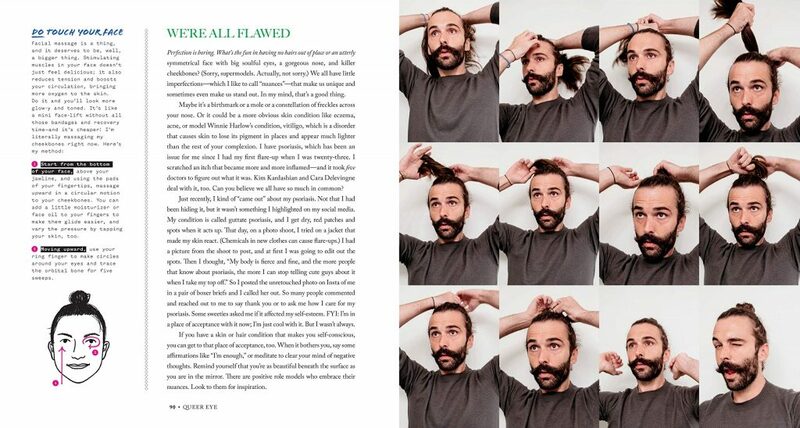 Queer Eye: Love Yourself, Love Your Life is released on 15th November and published by Headline. 256 pages RRP £25, currently reduced to £19.49 on Amazon.